Ryan Michael Malcolm (born October 13, 1979) is a Canadian singer and realtor best known as the winner of the first season of Canadian Idol . Canadian Idol is a Canadian reality television competition show which aired on CTV, based on the British show Pop Idol. The show was a competition to find the most talented young singer in Canada, and was hosted by Ben Mulroney. Jon Dore was the "roving reporter" for the first three seasons. Elena Juatco assumed the role for season four, Dave Kerr had the role in season five and Jully Black in season six. In 2003, he released his debut solo album Home which was certified Platinum in Canada. In 2006, Malcolm formed a new alternative rock band, Low Level Flight. Home is the debut album from Ryan Malcolm, who was the winner of the first season of Canadian Idol. The album was released on December 9, 2003. Low Level Flight is a Canadian five-piece alternative rock band formed in 2006 in Toronto by lead singer Ryan Malcolm. They have released two albums so far: Urgency (2007) and Through These Walls (2011). LLF toured much of Canada, the US, Mexico and Asia in support of their debut album, which was produced by Mike Borkosky. The band had three top ten videos and two top 40 singles from the album. LLF spent much of 2010 writing and recording Through These Walls with acclaimed producer Gus van Go. With distribution through Fontana North. Amherstview is a community in Loyalist Township, Ontario. "Sk8er Boi" is a song by Canadian singer-songwriter Avril Lavigne, released as the second single from her debut album, Let Go (2002). It was written by Avril Lavigne and The Matrix, and produced by The Matrix. The song is a power pop and pop punk track, which lyrically, tells a story told from the singer's viewpoint about her rocker boyfriend and a girl he knew in high school who rejected him because he was a skateboarder and she was a snob. Ryan continued singing with "A Bit of Nostalgia" until he won Idol. Presently, he enjoys coming home for reunion shows with his Dad and brother Reagan, for special events. Before entering Canadian Idol , he also worked as a waiter at the Lone Star Texas Grill in Kingston. 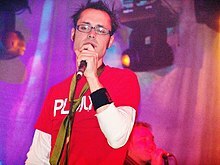 In 2006, Malcolm formed and fronted a new five-piece alternative rock band Low Level Flight. On March 27, 2007, the band released their debut album Urgency , which was critically panned  . The band spent much of 2007 touring across Canada and later toured Mexico and the United States, promoting their debut album. In September 2007, LLF performed their second single from the album "Say" on the top three results show of Canadian Idol. In 2009, LLF signed a record deal with Times Of India, and toured throughout India. LLF released their second studio album "Through These Walls" in 2011. And toured UK and Europe twice in support of the release. They are currently on their third single "TSK TSK". The band will return to India in early 2013 for more tour dates. Chad Robert Kroeger is a Canadian musician and producer, best known as the lead vocalist and guitarist for the Canadian rock band Nickelback. In addition to his work with Nickelback, Kroeger has been involved with a variety of collaborations, appearing as a guest musician in several songs and has contributed in both production and songwriting. He has co-written several songs for other artists and films. Greater Napanee is a town in Southeastern Ontario, Canada, approximately 45 kilometres (28 mi) west of Kingston and the county seat of Lennox and Addington County. It is located on the eastern end of the Bay of Quinte. Greater Napanee municipality was created by amalgamating the old Town of Napanee with the townships of Adolphustown, North and South Fredericksburgh, and Richmond in 1999. Greater Napanee is co-extensive with the original Lennox County. Deryck Jason Whibley, nicknamed Bizzy D, is a Canadian musician, singer, songwriter, and record producer, best known for his work as the lead vocalist, rhythm guitarist, keyboardist, main songwriter and producer of the rock band Sum 41. Stephen Martin Jocz, also known by his nickname Stevo 32, is a Canadian musician, singer, songwriter, music video director and realtor, best known as the former drummer for the Canadian rock band Sum 41. In Between Evolution is the ninth full-length album by Canadian rock band The Tragically Hip. It was recorded at Studio X in Seattle and was released June 29, 2004. The album debuted at number one in Canada, selling 22,500 copies in its first week. However, the album got kicked off Canada's number one spot to Avril Lavigne's breakout album. The album was certified Platinum in Canada in September 2004. Under My Skin is the second studio album by Canadian singer-songwriter Avril Lavigne. It was released on May 19, 2004, by Arista Records and RCA Records. Lavigne wrote most of the album with singer-songwriter Chantal Kreviazuk, who invited her to a Malibu in-house recording studio shared by Kreviazuk and her husband Raine Maida, where Lavigne recorded many of the songs. The album was produced by Maida, Don Gilmore, and Butch Walker. Richard Kalan Porter is a Canadian singer-songwriter from Medicine Hat, Alberta, and the winner of the reality television series Canadian Idol in season 2. He started to sing at an early age and is classically trained, playing several instruments, most notably, the violin and viola. He writes and arranges violin solos for many of his songs. Porter's first single "Awake in a Dream" is the best selling debut single for a Canadian artist to date and has been certified 8x Platinum by the Canadian Recording Industry Association. He is also the highest selling solo Canadian Idol singer. In 2013 he was a graduate student in business at the Wharton School at the University of Pennsylvania. Daniel Patrick Adair is a Canadian drummer, percussionist, and producer. He is best known for his work with Nickelback and his previous work with 3 Doors Down. He also works with the Canadian band Suspect and the instrumental fusion band Martone. Gary Beals is a Canadian singer who is best known for being the second-place finisher in the first season of the reality television series Canadian Idol. He is a resident of Cherry Brook, Nova Scotia. The first season of Canadian Idol debuted on June 9, 2003. Ryan Malcolm of Kingston, Ontario was the eventual winner. 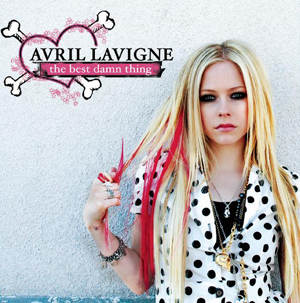 The Best Damn Thing is the third studio album by Canadian singer Avril Lavigne. It was released on 17 April 2007 by RCA Records. The album represents a musical departure from her earlier studio album Under My Skin (2004), which incorporates more elements of post-grunge music. 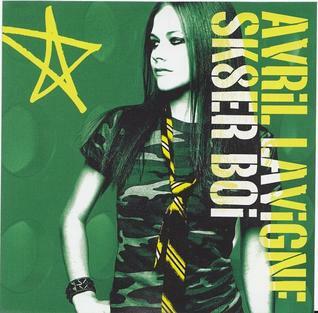 The Best Damn Thing is seen by critics as Lavigne's most commercial effort. The album was noted as her first effort to feature a wide range of producers, including Matt Beckley, Rob Cavallo, Dr. Luke and Lavigne herself, who was credited as the executive producer. Napanee District Secondary School colloquially known as NDSS is a Canadian public, comprehensive school located in Napanee, Ontario, Canada. The town is in the Eastern Ontario county of Lennox and Addington approximately 40 kilometres west of the city of Kingston, Ontario. The school offers classes for students in grades nine through twelve and is a member school of the Limestone District School Board. The school motto is "Habit Crystalizes Into Character". This is the discography of Canadian Idol first season winner and Low Level Flight vocalist Ryan Malcolm. In his career, Ryan has released one solo studio album, one solo single, one LLF album, and three LLF singles. He also starred in four music videos. Nicholas James Fradiani IV is an American singer from Guilford, Connecticut. He rose to regional attention as the lead singer of pop/rock band Beach Avenue when they won the Battle of the Bands at Mohegan Sun in 2011. They gained national recognition in 2014 when they competed on the ninth season of the reality talent show America's Got Talent, although they only made it to "Judgment Week". ↑ "Audio Certifications Home". Canadian Recording Industry Association. 2010. Archived from the original on 2010-03-25. Retrieved 2010-02-12. ↑ "Low Level flight - Urgency". Sputnik Music. Sputnik Music. Retrieved 7 November 2018.